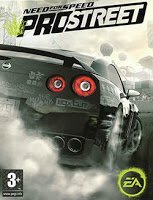 Free Download games Need for Speed ProStreet Full Version for PC direct single link work. Need for Speed: ProStreet is the eleventh installment of Electronic Arts’ popular racing game series Need for Speed. On May 21, 2007, Electronic Arts published a teaser trailer of ProStreet, and officially announced it ten days later. It was released worldwide in November 2007. ProStreet includes more than 40 cars including a few from American Le Mans Series. ProStreet was the first PlayStation 3 game with DualShock 3 rumble support.The demo, featuring two races, one speed challenge and one grip race, appeared on Xbox Live on October 26, 2007, on PlayStation Store on November 1, 2007, and on PC on November 2, 2007. The PC version is the last in the series to use CD-ROMs, which are succeeded by the usage of DVDs for the rest of the series. ProStreet is preceded by Need for Speed: Carbon and is followed by Need for Speed: Undercover. Run setup and Install, when asked for a serial use the keygen located in the crackdir of the DVD. Copy the cracked file located in the Crack directory on the DVD to your installation directory. Setelah sudah terinstal smua,. Kenapa diplay ada noticenya wrong disc inserted. Please insert the original NFS CD/DVD ya min,. cakep min game nya lancar jaya….. tambah lagi koleksinya min..
min itu semua part di download? Min,ko akses ditolak gmn y?? ada di folder crack nya bro..
Min waktu setup pas mau generate keygennya kok salah muluk. Tulisannya cd not found terus. alias pasword keygennya salah muluk..
iya min aku ngga paham, pas aku masukin serial key yg di file crack ke autorun.exe atau di EASetup.exe itu kenapa ngga bisa kepake semua.. seharusnya gimana ? Bisa berjalan lancar diwindows 10 ga min? sblmnya saya sudah pernah download diweb tetangga, awalnya bisa sampai pertengahan carrier, tapi setelah itu setiap selesai race malah error gabisa keluar dari race. coba lagi bro saya cek masih bisa kok..